Nehemiah was not exactly handed a piece of cake. He had to rebuild the wall of Jerusalem after his people returned from exile…that’s all. Talk about a problem solver! Nehemiah chose not to dwell on his complicated task and the many dilemmas that came with it. 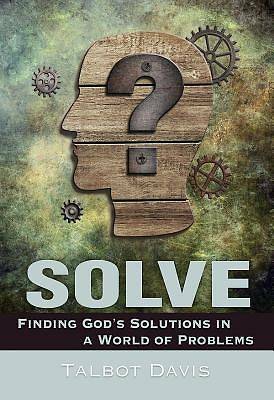 Instead, he sought God’s solutions, following God’s lead and trusting God’s purpose. In this five-week study, author Talbot Davis shows us how our problems, as individuals and as a society, are not unlike Nehemiah’s. You will see how you can follow in his footsteps, building up your life and the world around you. Each chapter includes questions for reflection and discussion, a practical focus for the week, a closing prayer, and daily Scripture passages to guide personal reading throughout the week.